Our experienced physicians can provide consultation & treatment for all types of non-acute clinical conditions such as cough, cold, fever, vomiting, diarrhoea, allergic reactions, dizziness, minor injuries, respiratory, gastrointestinal & urinary tract infections etc. The service excludes any major injuries or medical emergencies such as heart attack or cardiac arrest, substance abuse (alcohol, drugs, etc. ), physical abuse, assault, or any other life threatening injuries. 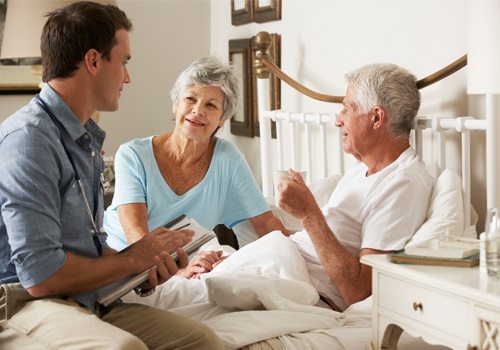 Our program aims to improve the well-being of our patients by preventing unnecessary hospitalizations, ER admissions. Physically examine and assess the patient. Review medical history of the patient and carry out bedside investigations, if needed (as per DHA guidelines on Point of Care Testing). Provide comprehensive treatment plan for the patient or refer to a clinic or hospital depending upon the assessment and update the family members. Our physicians are available 24 hours (on call). For more info, please call 04 357 7657 (during office timings) or 0543061897 (after office hrs). Note: DHA sick leave can be issued to genuine cases.